“You cannot afford in this day and age not to go digital…digital will become the name of the game”. That quote above isn’t fear, gloom, doom or a startup trying to scare the industry into buying a software solution. It’s the freshly appointed CEO of CMA CGM, Rodolphe Saadé, speaking about the new opportunities that lie online during a session at Journal of Commerce’s TPM 2017 in Long Beach. Which explains why Mr. Saadé also revealed that CMA CGM will launch an online sales and booking platform, nicknamed Freddie, in Summer 2017. Two years ago you didn’t hear talk of digitization from ocean liners. Today, it’s suddenly the norm. Just a few weeks back,CMA CGM joined Maersk in announcing a partnership with Alibaba for direct digital bookings. CMA CGM and Maersk using digital platforms to better service BCOs online isn’t a surprise either. There’s been a slow, persistent march towards increased digitalization and, yes, increased transparency, in the freight industry. This week the Journal of Commerce invited me to advocate for transparency at TPM in a debate where the other side was argued that freight prices will remain private. So I wanted to take the opportunity to share some thoughts on where things stand today. While we are busy debating about when the industry will change, it went out and transformed itself. The industry already made a conscious decision to offer online services in a transparent fashion. This decision isn’t driven by fear. With a 16% and growing carrier fleet share, fear is likely not driving choices. Opportunity is. B2B Sales Are Going Online. Slowly. Businesses change slower than consumers. Long workflows, extensive decision making structures and long-term relationships play an important role in how businesses procure. But while many online B2B marketplaces flopped in the 1999-2000 bubble, online B2B sales is now taking off. And it’s not CEO’s buying bikes online. Some of the tech world’s largest “unicorns” – companies valued at over $1 billion dollars – are B2B, like Palantir, WeWork, Cloudera, Atlassian and Slack. Other companies, like Uber, Amazon and, of course, Alibaba, are increasing their B2B foothold. Notably, one of the reasons their valuations are so high is not (only) that they dominate their markets; they expand the total market. This can happen in logistics too. Easy, online freight doesn’t just make life easier for existing shippers, it introduces new companies to international freight. These new, small companies are an incredible target market for logistics providers. According to trade.gov, 97% of US importers are SMBs, representing 33% of all US imports. These shippers already do business online, communicating with Slack, sourcing online with Alibaba, selling online with Amazon and now, booking online. And of course even big enterprises are hiring millennials who are bringing with them a bias towards buying online. One of the best examples of how technology can change an industry is US trucking. Twenty years ago, the industry was dominated by fax machines and phone calls. Today, APIs and online booking are commonplace, driving tremendous success. While it didn’t get the same attention as “sexier” startups, Coyote Logistics made headlines in 2015 when it sold to UPS for $1.8 billion dollars, only 9 years after it was founded. The driver of its success? Technology. Transparency doesn’t necessarily mean equality. Freightos is proud to offer the best freight rate management platform and instant quoting solution in the world to some 1,000 freight forwarders . Given this experience, we understand – and very much support – the importance of tiered pricing. The overwhelming majority of the tens of thousands of quotes generated on Freightos every month are private pricing, conveyed online by forwarders to shippers. That makes sense; a BCO moving 150,000 TEU should be able to negotiate better prices. But tiered transparent pricing is very much feasible, empowering both sellers and the buyers, eliminating colossal wastes of time for sellers and empowering buyers to access relevant information in real time. Many B2B websites say transparently that they offer one price for single units and a lower price for thousands of units. Freight services providers can do the same. So yes, transparency is completely compatible with tiered pricing. This is a long haul. No one said digitization would happen overnight. Technology drove consumer behavior to change faster than ever before; it would be naive to assume that those changes won’t reach the business sector. Cultural realignment may take time but it’s impossible to question whether it has already begun – just look at the industry leaders. It’s not only Freightos technology, of course. Transportation Management Systems are also changing and will almost certainly benefit carriers, forwarders and shippers. 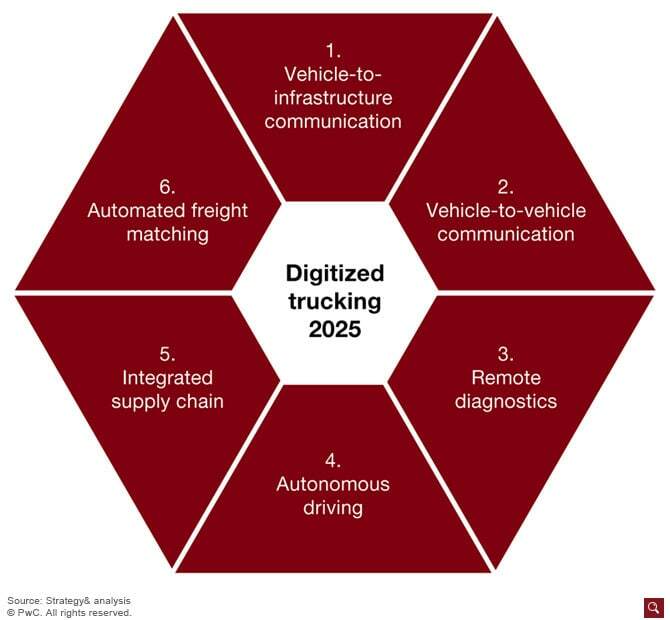 As digitalization slowly improves operations and make freight more accessible, this process will accelerate. Today, Freightos may likely be selling more international freight online than anyone else. We’re looking forward to being joined by the likes of Maesrk-DAMCO and CMA CGM. 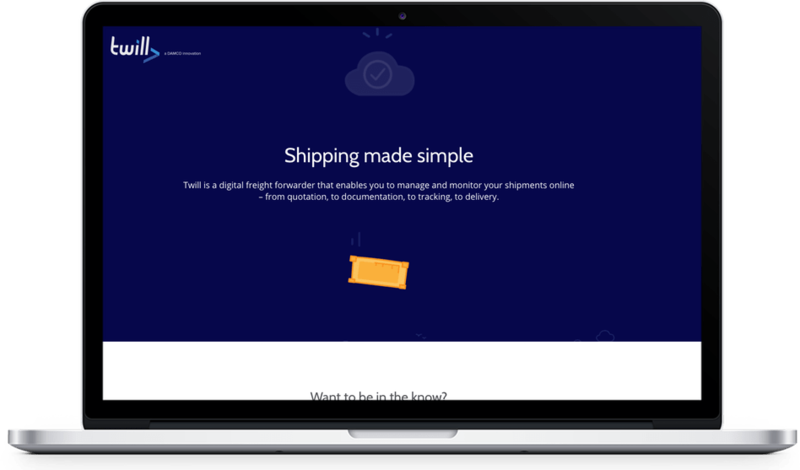 We also look forward to digital sales expanding to larger shipper tiers, bringing transparency to the entire lifecycle of a shipment with track and trace. While the future of freight is transparent, freight in the present has already gone online. And we’re better for it.